Sony Brand is well known for its quality products in electronics, mobiles, cameras, and PCs worldwide. Today we will take a short review of the product that exists from the brand of Sony. Sony DXC-D50 is the professional camera of the top range with tripod adaptor, viewfinder and microphone. It came with some of the best quality features that no other company or brand provides in this field. 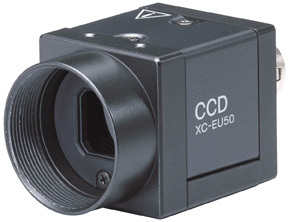 It includes the feature of HAD EX CCD; the same feature is used for the BVP-E10/WS series. The Sony Dxc cameras, latest manufactures, offers improved levels of smear- 140dB, thanks to CDD performance, which was equal to FIT type of CCD. Analogue to digital converter with the use of the 12 – bit resolution, ensures the quality of the picture processed with high precision. In this class, as compared to previous cameras in this class, offers only 10 bit resolution, the Sony DXC-D50 is able to give more familiar resolution production of low key and the mid-zone areas of the picture. When exploring the camera quality, another critical factor is in non-linear processes how many bits are used, such as correction of gamma. The use of (ADSP) Advance Digital Signal Processing, built into a creative and innovative LSI micron processing technology in 0.18, provide precise and comprehensive control functions, as well as from CCD, maintaining superior image quality. Use of this and thanks to this digital encoder, very low power use can be achieved to ensure stable signal processing and very comfortable operation. To provide comprehensive picture adjustment, getting the Sony DXC-D50 series camera includes several creative control items. To maintain the color of the object in shadow areas, low-key saturation is used. To avoid washed out a display in highlighted area knee saturation is used. To adjust Hue and Saturation separately, skin matrix is used. Comb filtering is used to suppression of cross-color and to subtract the unpleasant cross-luminance and cross-color on fine details. To control the brightness of the shadows are a black gamma core is used. SonyDXC-D50 also provides Sony Memory Stick System, enabling everyone to store his or her precious move. Going out for a vacation or having a blast with your friend. There is always time to capture these memories. It becomes easy to get going with the old memories in the future with camera that helps you click some awesome fun filled memories. The Sony’s XC-ES50 monochrome CCd camera helps you capture those moments and enjoy the memories down the lane. This camera is handy to use and easy to install and is ideal for the process of the image. The Sony XCES50 camera half-type B/W analog camera is the latest and the part of the new standard of analog camera. This camera has the same feature of CCD technology and has an improved specification, which are incorporated with the XC-ST series. The trigger is simple and is flexible, the vibration is excellent and has a shock characteristic, but has come in a smaller and lighter package. It has the incorporating of the latest interline transfer CCD with HAD technology where it provides 768*494 effective pictures and the lens is C mount with the dimension of 29*32 and weighs only 50 grams. This camera can work great in space limit and many remote head applications. It only weights 50 grams and is the lightest compared to other Sony product series. It consumes 1.6 W powers. The vibration resistance is 10 G and 70 G is shock resistance and the power required is DC 12V. This is what makes it handy and the best cameras that Sony offers with the best in class features. There is always time to capture some moments, which can keep your memories alive for a long time. Having saved the moments captured at that precious moments surely makes you feel the moments spends as if in you are still having the same moments. These memories can be captured with the help of the camera and can be stored for longer duration. 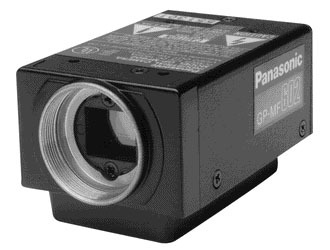 The Panasonic GP mf602 monochrome machine vision camera. It helps you capture those moments and take pleasure in the reminiscences down the lane. This camera is a handy ready to install and easy to use and is the perfect camera to click pictures of the perfect moments. The cameraGP-MF602 model is a ½ CCD machine vision camera. It is a 768 (h) *494 (V) pixels with is far much better than the other CCD camera. It has an Asynchronous frame reset mode, which helps you to reset the setting easily. The shutter trigger mode is electronic for use and better use. The horizontal lines ratio is 570 with a signal to noise ratio of 56db. The camera has a sensor gate control for extended exposures. The camera gives you an external and internal synchronization. The camera comes with many more intact features that make it the best. The illumination is 0.5 Lux at F/1.4 manual gains max, whereas the lens is a C-mount. It is light in weight with 155 grams and requires a +12VDC 190mA power supply. The camera holds an international electronics technical commission that IEC is 80G shock resistance and has a 1.0 selectable internally gamma. The camera can be mounted on a tripod, as there are two threaded holes 1/4. The camera is connected with optional camera cable GP-CA34, GP-CA33, GP-CA59. This makes the camera GP-MF602 model a perfect click for a perfect occasion. You can check for the other description online. The Teli cameras are made by the Japanese company named as Toshiba. It is a short name for Tokyo Electronic Industry Co. Ltd. Toshiba, one of the leading companies in the world deals in a number of electronic goods such as computers, cameras, etc. Out of the camera series, it’s one of the best-selling product in the market is Teli CCD cameras series. The CCD cameras series consist the cameras for machine vision, industrial automation, 3D, inspection, measurement and medical imaging. The brand is also the world’s second largest ISO9001 certified manufacturer of video cameras for industrial application. It is more than 500 employees working under the company to produce the best camera series for their users. If we talk about the machine vision specially then the company is the 2nd largest vendor in Japan whose centre of focus lies on products for medical field, semiconductor inspection, web inspection, instrumentation and robotic market segments. By putting striking features to its TELI CCD series cameras, it is working hard to become the number one player in the series of such cameras. The cameras under the series are highly compact with a very good image sensor size, external trigger, external synchronization, pixel clock output, as well as excellent resistance against shocks and vibrations. The other striking features of the cameras are its simple user interface, high speed photography and ultra-compact body which make it possible to use for the long distance transmission as well. Also the cameras are easy to connect with PC with which you can prepare a database in the PC and hence freeing the memory of the Camera. TELI also understand the user’s need of transporting the camera from one place to other, hence it always makes cameras which are handy and portable. However, if you come pricing then also you will be pleased with budget effective deal at the TELI CCD cameras. Therefore run your nearby store or dealer to avail the best buy of the generation in cameras. It will be surely a treat for your pocket as well as expectation to own a multifunctional and best Industrial camera brand at personal as well as the professional front.